Did you get April Fooled?! Today, the first day of April, is famous for being a day for getting caught out – did you fall for an April Fool joke? The Lincolnshire Echo had fun with a story about a new waterslide coming out of the Waterside Centre… and reported another first for April 1st (but this time not a joke): the first anniversary of the re-opening of Lincoln Castle. 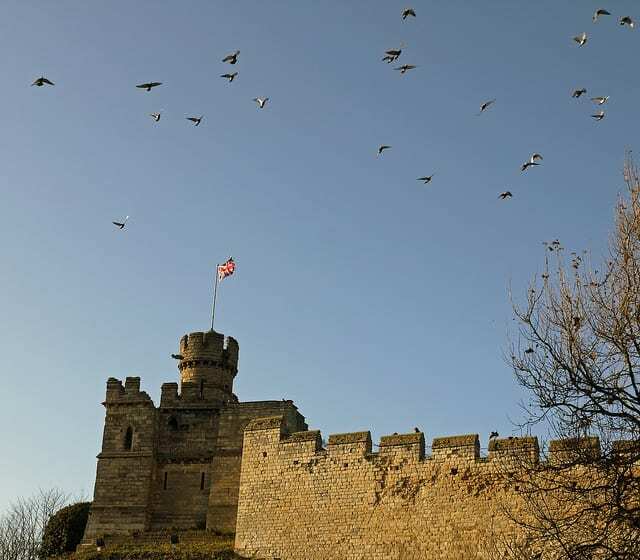 Lincolnshire County Council held a first birthday party at the Castle, which was re-opened last year following a £22m refurbishment. Apparently, King John was even in attendance, just in time for the birthday cake. Hopefully you’ve had fun today. If you have any memories about April Fool’s Days gone by in Lincolnshire, or any other memories about tales of Lincolnshire more generally, you can still take part in our survey, where you can let us know what you think about heritage – which includes our stories about the past, memories, and folklore. At Our Lincolnshire HQ we were recently contacted by Chain Bridge Forge, a living museum based in Spalding in South Holland. The South Holland area recently featured in the Our Lincolnshire heritage performance at Pinchbeck, where stories of tulips and agriculture were retold and remembered in Egg Box Theatre’s production ‘A Postcard from South Holland’. The role of the blacksmith would clearly have been central to rural life in this area in the past, and this continues today through the work of the Forge. The Forge has been revived and is in working order, open for all to come and see how blacksmiths work, with live demonstrations of blacksmiths’ techniques. They also offer guided tours, and hold craft days and taster days. The forge is also a great source of information on wheelwrighting and farriers, as well as local history. 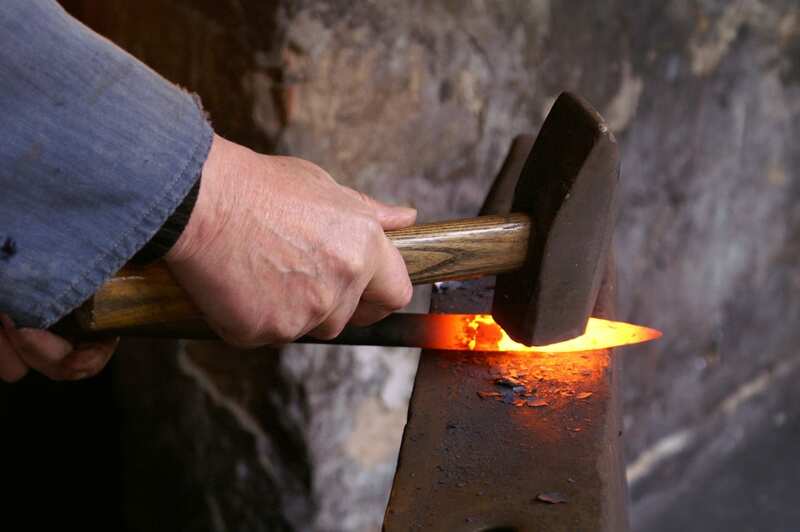 The Museum has been open since 2012, and hosts a resident artist blacksmith, who is interested in passing on the skills involved in blacksmithing, and also takes commissions for his work. The Forge website is packed with information about the local area, and is part of a website dedicated to life in South Holland more widely. South Holland Life features an archive of material about life in the past in the region. Their searchable library holds a collection of oral histories, transcripts, documents and photographs, which were collected as part of an HLF funded project called “All Our Stories”. The extensive South Holland Life resource begins with a timeline of notable events in the area, featuring links to further resources. You can also find them on facebook. The following video, produced by the Museum, gives a short history of the Forge. More videos are featured on their website. If you want to visit the Forge, you can find out more details and directions here. Entry is free, and opening times are posted on their website. Throughout this project, we have come across fascinating heritage projects and enthusiastic history groups developing projects across the county. One project coming up is the Churches Festival in West Lindsey. The 2016 Festival is taking place on Saturday 7 and Sunday 8 May, and on Saturday 14 and Sunday 15 May. 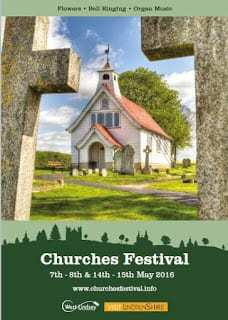 This year the Festival is in its 20th year, and 94 churches will be open for people to explore. Organists from the Lincolnshire Organists Association will be playing over the two weekends, with music also featuring in concerts at Stow and Brocklesbury, along with recitals and organ trails. Stories associated with the churches will be a feature throughout the festival. At Gautby for example, they will be telling a story of intrigue, kidnapping, ransom and murder related to the Vyer family. Kettlethorpe church is associated with Katherine Swynford, the third wife of John of Gaunt, and the story of a missing cook features at Riby. Click on the images below to find out more about their music programme, their flickr photo feed, and their walks. In the grounds of Gunby Hall in Lincolnshire sits a tiny and largely hidden historic Baptist chapel. Monksthorpe Baptist Chapel is supported by a group of volunteers called the Friends of Monskthorpe. 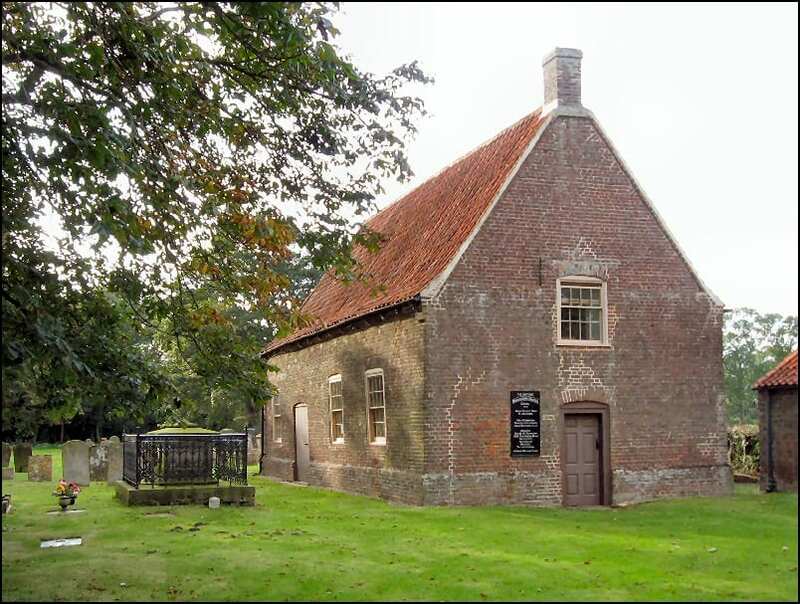 The chapel is now owned by the National Trust, who manage Gunby Hall, but a successful partnership with the active Friends group has seen the chapel continue to be used throughout the year. 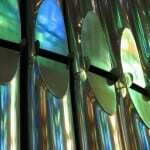 They hold monthly services in the summer, and a candlelit carol service in December. 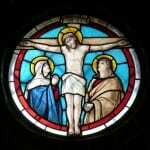 The Friends group have been instrumental in developing historic interpretation at the chapel. Further information can be found on their website, at www.monksthorpe.com, and on the National Trust’s webpages, and in their published booklets. Monksthorpe is a hamlet about 7 miles inland from Skegness, and a couple of miles from Gunby Hall, near Spilsby. RAF Spilsby airfield is nearby, from where Lancaster bombers flew in the Second World War. Near the airfield’s huge hangar, but hidden by trees, sits the plain, brick-built chapel. The chapel has undergone major restoration since its acquisition by the National Trust. It was originally built in 1701, and although it is not known what the chapel looked like inside, it would have been plain. The building was refurbished in the 1840s. The chapel’s small graveyard includes the grave of John Dowse, a minister and historian of the chapel in the early 20th century. There is an outdoor baptistry, where church members were baptised by full immersion in water from a nearby dyke. The National Trust point out a number of features for visitors to spot, including an 1800s harmonium, a balcony, a pigsty next to the graveyard, Hugh Ayscough’s tomb under the pulpit, the war memorial, an escape door, and a pot-bellied boiler to keep the congregation warm. The Friends of Monksthorpe tell the stories of religious persecution, as early Baptists dissented, refusing to worship according to the state law. They began meeting in Monksthorpe as early as 1669, in the open air at first. Those who refused to worship in the Church of England were often forced to hide to escape persecution. In 1701, Hugh Ascough gave the Baptists two acres of land, on which they built their chapel in the form of a barn – to escape attention. In 1782 there were just under 100 members of the congregation from 20 villages across Lincolnshire. You can read more about the history and people’s memories of Monksthorpe in their anthology, which is available through their website. Do you know any other hidden stories about rural Lincolnshire that you think are important to tell? If so, we’d love to hear from you. Today is International Women’s Day and to celebrate, we’d like to share this wonderful photo compilation video made by Pete Sawyer for Old Lincolnshire Rural Photos. In it, you can see photographs of women working in the fields throughout the county, and a display of the kinds of agricultural skills that were passed down from mother to daughter.